What do George Eliot, Stephen King, Lewis Carroll, Emily Bronte and Alix Bosco have in common? I know the first four, I hear you say, but who is Alix Bosco? Well Alix Bosco is a New Zealand crime/thriller writer who won the inaugural Ngaio Marsh Award for Best Crime Novel last year with her first novel, Cut & Run. Then again this year her second novel, Slaughter Falls, has been shortlisted. TV rights for Alix Bosco’s first book, Cut & Run have been sold for a major TV series, starring Robyn Malcolm as Anna Markunas. All this success and again I hear you say – who the heck is this Alix Bosco? Well like the first four authors, who have all written books under another name for various reasons, but mainly to ensure they were read without the prejudice of the real writer's previous works, gender or standing in the community, Alix Bosco is the pseudonym for a well known New Zealand writer, one not known for crime fiction, and not one you would expect to be writing as a stroppy female investigator. is Greg McGee Alix Bosco? Greg McGee’s haphazard journey as unlikely writer, rebellious rugby player, ambivalent protestor, lawyer and defendant, mutineer tourist, dilettante coach and incompetent kangaroo culler has taken him from Ponsonby to Paraburdoo, Tapanui to Harlem, Dunedin to Venice and various other T-shirt destinations. 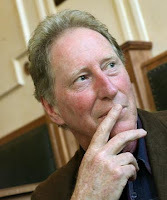 During this time he has crossed paths with a diverse cast of characters, from Peter Mahon to Keith Murdoch, Peggy Guggenheim to Duncan Laing, Ken Gray to Billy T. James, Raymond Hawthorne to Bert Potter, not to mention Grizz Wylie, Janet Frame’s brother, Pie Madsen’s mother, Aussie fortune tellers, Sicilian witches, Vincent van Gogh and any number of writers, actors, producers and other denizens of stage and screen. For theatre, he has written both Foreskin’s Lament, which has been described as ‘the great New Zealand play’, and Whitemen, which McGee describes as ‘New Zealand’s biggest home-made bomb’. He also wrote the controversial mini series Erebus, The Aftermath and much else for television, and has published the odd short story and sports column. Below Greg explains in his own words why he wrote as Alix Bosco and why he has now decided to reveal his true identity. When you spend a year writing a book from the point of view of one character, as I did with Anna, you become very attached to that character – and very protective. 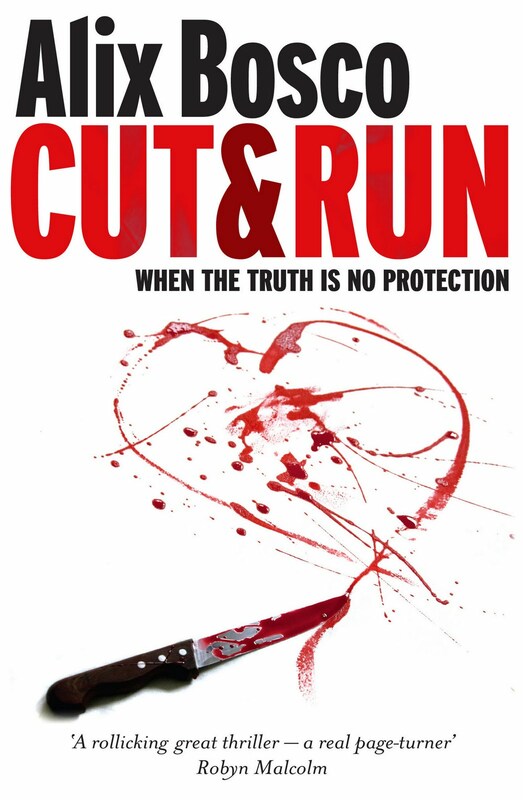 When it became clear that Cut & Run was going to be published, one part of me wanted to shout it from the rooftops, of course – my fi rst novel and I knew it was good - but I also knew that if I did that, if my name was on the front of the book, Anna had no chance. No chance of being received as a credible character. Because I’m known as the bloke who back in the day played rugby and wrote a play about rugby. Greg McGee’s that bloke who writes about blokes. People like to think that they don’t have preconceptions, but the evidence says otherwise. Before publication, Cut & Run was assessed by fi ve readers. I insisted that three of them not be told who the author was. The two (one male, one female) who knew that I’d written it, had major problems with Anna’s credibility. The three readers (two female, one male) who had no idea who the author was, thought Anna was a wonderfully written, sympathetic and engaging character. That was the moment when I decided my name would not be on the book. I wanted the book and Anna to be treated on their merits, not be assessed on what people thought they knew about its author. I had to fight hard to persuade my agent, the wonderful Michael Gifkins, and Penguin, to do it. They both pointed out that a book with no author to promote it is hugely prejudiced. Henri Bosco, who is buried in the Luberon valley in Provence, close to Camus. (When I was there, I paid my respects to Henri for the use of his family’s name). Alix was decided on because it was gender neutral, but that neutrality was quickly abandoned, when the choice had to be made between ‘him’ and ‘her’ for the brief author bio inside the cover. I decided it would be ‘her’, because it was always Anna’s story and I tended to think of Anna as Alix. Besides, I thought that if I was going to be younger and better-looking as Alix Bosco, I might as well go the whole hog and change my gender while I’m at it. My second book Slaughter Falls being chosen as finalist for this year’s Ngaio Marsh Award for Best Crime Novel. When my first book, Cut & Run won last year’s inaugural Ngaio Marsh Award for Best Crime Novel, the award ceremony was a bit of an anti-climax because there was no author there to receive it. I think the award is a wonderful initiative and I want to support it by being there this time with the other fi nalists, Paddy Richardson, Neil Cross and Paul Cleave, all fine writers who I’d be happy to lose to. The timing seems right. The pseudonym has largely served its purpose. The books – and Anna - have been really well received. There might be a bit of angry reaction, people either pissed off they were fooled or convinced they knew all along. But quite a few writers, contemporary and historical, have used pseudonyms, for various reasons. Mary Ann Evans wrote under the name George Eliot, to ensure her books weren’t prejudiced by preconceptions about what female authors could and couldn’t do. It may be a sign of the times that I felt I had to write under a female pseudonym for much the same reasons as Mary Anne Evans wrote under a male pseudonym. Whatever, being a woman writer has been a wonderful experience: probably the best reviews I’ve ever had, the Ngaio Marsh Award for Best Crime Novel with my first book and now a finalist again with my second book. I’d recommend it to any author who’s brave enough to trust his or her words to go out into the world alone.